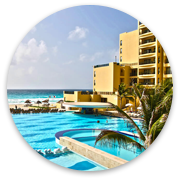 Six resorts in magnificent beachfront settings in Cancun, Riviera Maya and Puerto Morelos. Spacious suites with everything you need for your vacation. Daily activities, tempting dining, spa pampering and much more, memorable vacation moments await you when you stay at Royal Resorts. 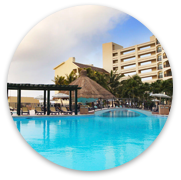 If you want to unwind and reconnect and find something that everyone in the family will enjoy, the REFINE All-Inclusive package at The Royal Cancun and The Royal Sands in Cancun and The Royal Haciendas in the Riviera Maya is the perfect stress-free choice for a Cancun vacation with family and friends. 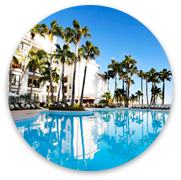 The REFINE All-Inclusive package gives you access to restaurants and amenities at all three resorts so you literally stay at one and play at all three. It also includes dining at three of Cancun’s best restaurants: Captain’s Cove, Hacienda Sisal and El Conquistador. There’s lots of fun in store for your children at the Kids Club (for children aged 4-12 years). 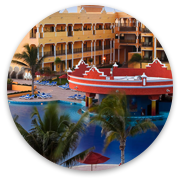 Wi-Fi in your suite and public areas of the resort, daily maid service (except Sundays and official Mexican holidays). Guest laundry on site and doctor’s office. Save time and shop at The Royal Market® convenience store, where you’ll also find the Royal Roast Coffee shop serving Starbucks and freshly baked goodies. Pickup beachwear and souvenirs at La Paloma Gift Shop and handcrafted silver and gold at the jewelry store. Relax and enjoy precious vacation moments in Cancun with family and friends in a spacious and fully equipped suite with an impressive array of resort services at The Royal Caribbean or The Royal Islander. European Plan room only rates available. Enjoy leisurely vacation meals you prepare in your own kitchen or dine out every night. Go exploring and take a different trip every day. It’s your choice! Cool off in a spectacular collection of pools and enjoy a Caribbean cocktail at the swim up bars. There are separate paddling pools for children. It’s game, set and match on the tennis courts. You can sign out rackets at the Sports Desk and compete in the weekly tournament. The Sports Desk also has beach towels, snorkeling gear, sailboats, bicycles and golf clubs for your enjoyment. Try something new this vacation. The calm waters of Nichupte Lagoon and Mujeres Bay in Cancun are the perfect playground for sail boating. At The Royal Haciendas in the Riviera Maya you can also go snorkeling or kayaking in the bay. Fun activities for you and the kids. Choices range from zumba, aqua fitness and and beach volleyball to salsa dance classes, water polo and arts and crafts. Soothe body and soul with a Spa morning at The Royal Sands and The Royal Haciendas or relax with a beach massage. Stay in shape at the Fitness Centers. There’s lots of fun in store for your children at the Kids Clubs at The Royal Sands, The Royal Cancun and The Royal Haciendas (for children aged 4-12 years). 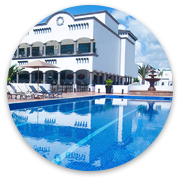 From fresh seafood and traditional Mexican cuisine to International and Italian dishes and BBQs, Royal Resorts serves up a delicious dining experience. During your vacation, book your table at three of Cancun’s top restaurants: Captain’s Cove, Hacienda Sisal and El Conquistador. 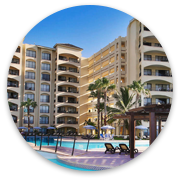 You have Hi speed Wi-Fi at your fingertips in your suite and public areas of the Other services include a guest laundry, maid service, pool lifts and beach chairs for physically challenged guests. A world of exciting travel experiences and adventures lies on the doorstep in Cancun and Riviera Maya. Book your day trips and water sports at the tour desk or rent a car and explore at your own pace. Save time and shop for snacks, drinks, fresh pastries and much more at The Royal Market® convenience store, there’s one at every resort. Paloma Gift Shop offers a variety of beachwear, fashion, Mexican crafts and souvenirs.